Peter Spann was one of those kids who started their first business at twelve. In a 30+ year career he has seen major highlights like Managing the growth of two BRW Fastest 100 Privately Owned Companies. He had three of his companies listed on Stock Exchanges. He won accolades like the Telstra Small Business Awards and Steve Irwin Award for Ecotourism. And he dealt with significant issues like the negative impact of the global financial crisis on his financial services customers and a shark attack on his resort. 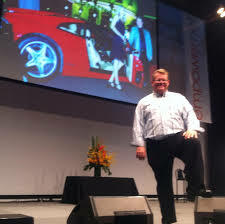 His strategic insights into fast growth businesses are second to none. His style laconic and his ideas controversial but highly effective. He has owned business in Financial Services , Health Care, Hospitality and Tourism, Consulting, Real Estate, Property Management, and eCommerce spaces. There are few Business Strategists in the world with a track record like Peter Spann. Now he’s standing by to get similar extraordinary results with YOUR business! Dynamic thinking, high level problem solving, 30+ years of business experience, marketing genius, and on your side. Peter Spann is standing by to help you take your business to the next level. He has proved this through his own business experience and by working with hundreds of clients. turning up to your promotion? His first business “Ready Teddy Go” featured innovative advertising, including direct mail and TV and he wrote his own customer database and Point of Sale on an early PC. His “Teddy Bear’s Picnic” event saw over 24,000 people or about 30% of the local population attend with queues up around the block to register. In the 1990’s and early 2000’s Peter Spann built one of the largest privately owned Financial Services businesses in Australia before Publicly Listing it on the ASX. It grew to funds under advice of over $1.7 billion in less than 3 years, a feat unheard of in the industry from retail clients. The business became the 41st Fastest Growing Private Company in Australia, a Telstra Business Awards Finalist, Multi-Industry Award Winner for product design and distribution, and employer of choice in its category. It was sold and debt retired. adding hundreds of thousands of dollars, sometimes millions to the bottom line per pharmacy. Using almost entirely internet marketing the Paradise Bay 5 Star Eco Resort grew to be profitable in its first year and earned rave review from its loyal guests. The resort was named the number one hotel in Australia on Trip Adviser for 5 years in a row, number one in the South Pacific for two years, and achieved a “perfect” 5 out of 5 rating for 213 straight reviews. It won multiple awards for customer service, food, environmental practice and value and was inducted into the Whitsunday Tourism’s “Hall of Fame” for winning the Steve Irwin Eco-Tourism Award category three times in a row. And it was fully managed by staff remotely! Peter Spann is ready to help you how to transform your business. Peter Spann can become your personal business marketing guru.